Plants, the grass is always greener…on BOTH sides of the fence! 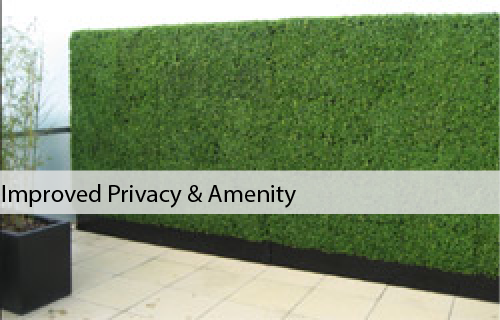 Turn your ordinary, run of the mill fence or wall into a breathtaking landscape with incredible privacy. Enjoy a stroll in the park—right on your patio, yard, or balcony. All the benefits of natural grass and hedges without the headache, withering, upkeep, and hefty cost. Make landscaping instant and effortless! Choose a stunning design that best matches your property. Or create your own personal custom design. What artificial hedges are you after? AFTER SOMETHING DIFFERENT – CONTACT US FOR OUR ARTIFICIAL PLANT CATALOG. What other artificial plants can Designer Plants provide? – Fully constructed life-like hedges; perfect for the wedding aisle, cafes, or office partitions. – Grass / Hedge balls – great ornamental artificial plants. 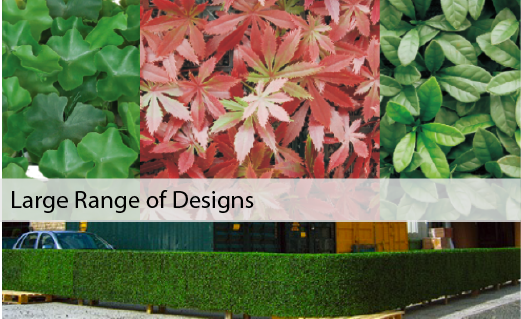 – An amazing range of hedges made to order in different colours and textures – we can even make artificial plant panels with flowers and vines. Still not what you are after? We work closely with a number of artificial plant suppliers to ensure that we can deliver you the highest quality artificial hedges, that are affordable, UV Treated and easy to install – if we don’t have it we can most probably get it, contact us now to see what we can do. Make your garden, office or shop greener today – Contact Designer Plants.